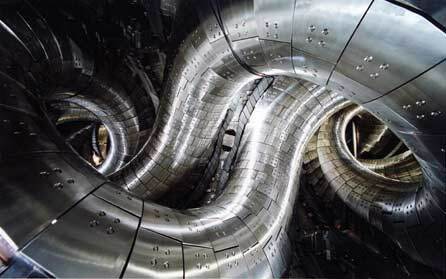 An incredible photo (click for a really large version) of the Large Helical Device in Japan built to test plasma fusion confinement. Translation: This is the beginning of what you need to have your own little star right here on planet earth… Without actually making our little blue marble into a star. More on the project here. I post it here just because it is a gorgeous implementation of purpose driven design built at a massive scale.